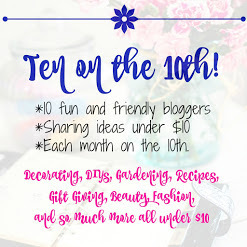 Thank you Stacey@PoofingthePillows for putting together another wonderful blog hop. 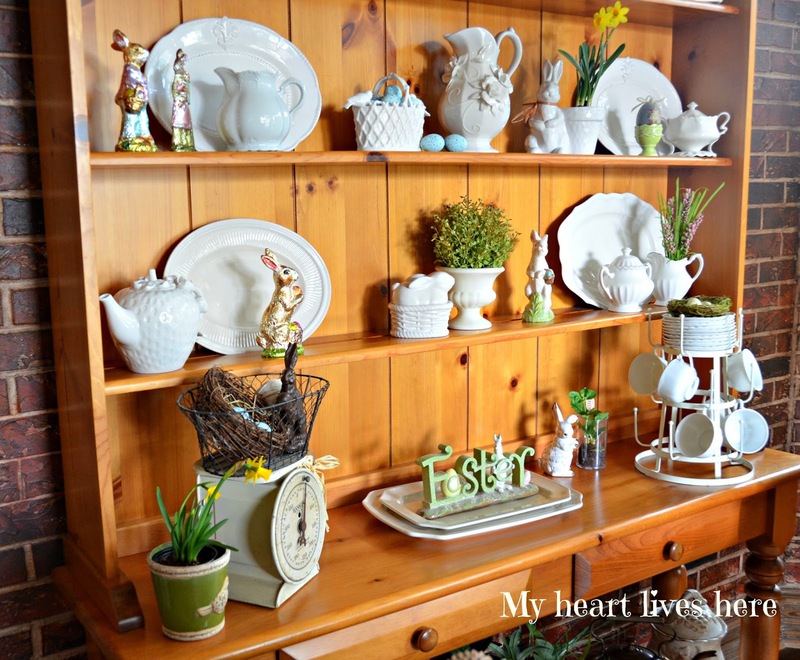 Today, I am sharing our sun room china hutch, decorated for spring. I've been enchanted with rabbits for a very long time. When I was a child, my mother used to read me The Green Umbrella, a magical book about Timothy Bunny. A few days ago, I came across an illustration from the book via Pinterest. That image of the mother rabbit packing a wonderful picnic basket for the trip to the beach touched me as it had decades ago. A beloved first grade teacher kept a lop eared rabbit loose in our classroom as a pet. The Easter Bunny always delivered wonderful chocolate bunnies in my childhood and later to our children. 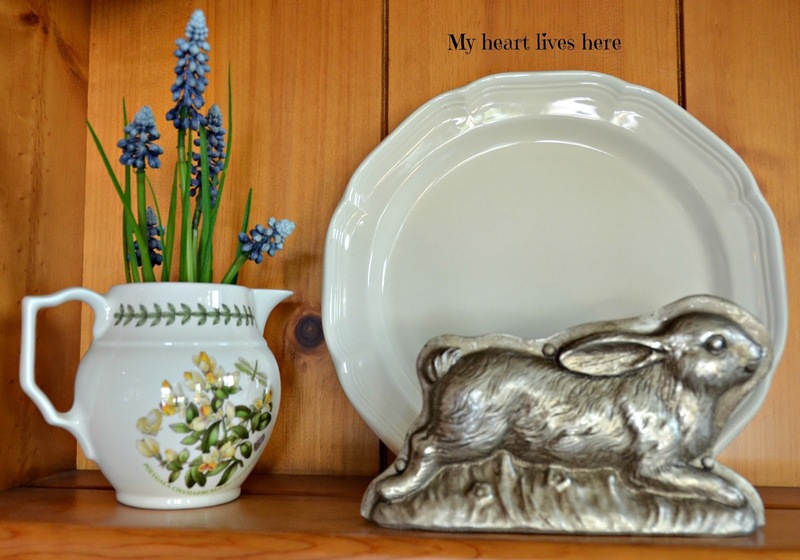 I was tickled pink when I found this reproduction of a chocolate bunny mold at Paul Michael's in Canton a while back (above). Later, I picked up a different version at Hobby Lobby (below). They are not the pricey collectibles listed on eBay, but they are still adorable. One of the delightful things about our backyard is the proliferation of little rabbits. Well, Dexter, our fox terrier might not agree... but they keep him busy. Thanks for stopping by! Wishing you much chocolate and joy this Easter. 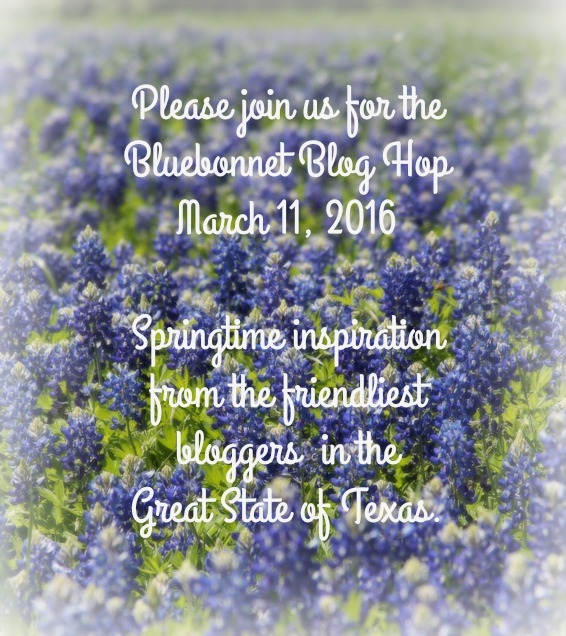 Just click on the links below to continue the Bluebonnet Blog Hop! Elis, I must look for that book. It sounds like one I want to read to my little nieces. I've a fondness for bunnies too, and they are hoppin about here in the house. I will check HB for the reproduction molds. I've some of the old ones, but could mix in a few of these. They look great. Enjoy today's hop. Sarah, I envy your old molds! Thanks for stopping by. I adore your "rabbit hutch". :) There truly is nothing sweeter that puts a hop in my step that seeing sweet bunnies. One of my brothers used to raise them as a 4H project. May you have a lovely spring. Thank you, Laura. I hope we get some sunshine soon! Eilis, Oh my. I love your hutch! All the spring time touches and the chocolate molds. SO pretty. I'll be on the hunt for one of those. It's perfection! Thank you, Leslie. I had fun arranging it. I adore bunnies too! I love your chocolate molds...wait, where is Paul Michael's in Canton? I've never seen it. Now I want ones of those too! 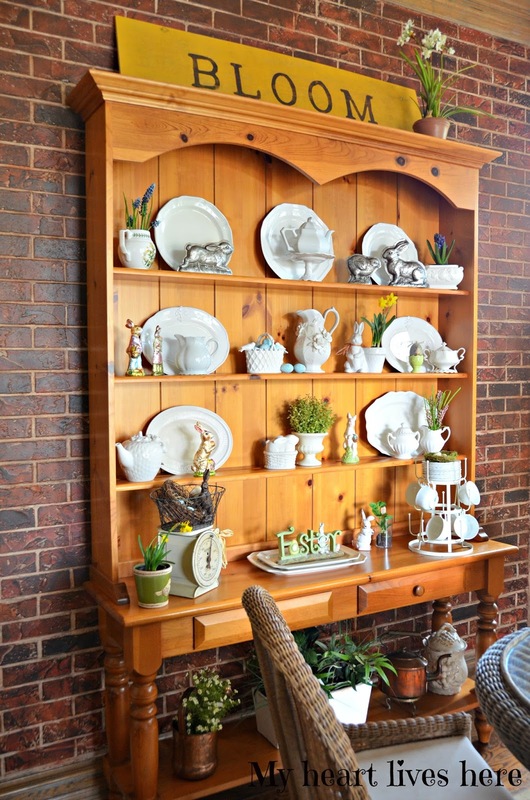 Love all your Springtime touches - your hutch looks so pretty! Paul Michael's is a huge store on N. Trade Days Blvd. (across from Laurie Anna's). Actually, Paul Michael's is always open, not just for First Monday Trade Days. AND... they give out free cookies and drinks to tired shoppers who stop there on their way out. They have a website, too. Hi Eilis, your home is filled with spring and Easter touches that are so inspiring. 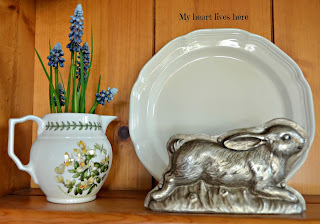 So very pretty and I love your darling bunnies! You have inspired me to get my Rabbit collection out and get decorated for Easter before it's over. I love all your Rabbit's what a great collection. It is so much fun sharing the Bluebonnet Hop with you! Thank you, Miz Helen. You still have plenty of time to enjoy them! The book sounds delightful and one that I'd love to read to my grands. 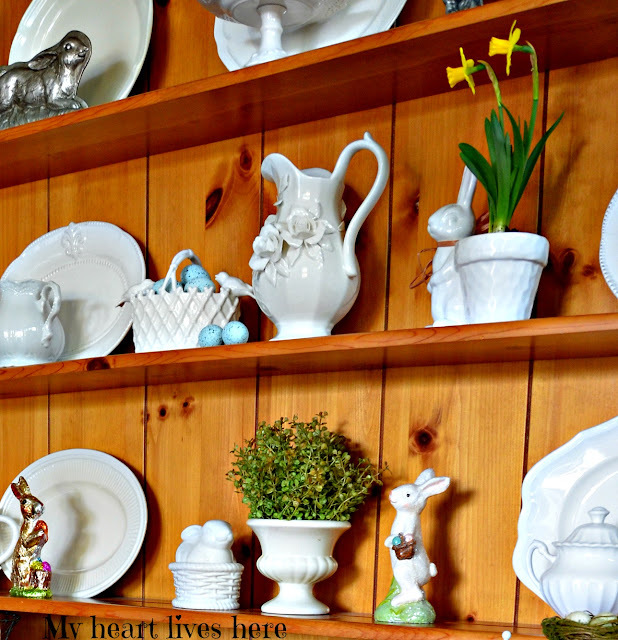 Your hutch looks so pretty all decked out with hopping bunnies. 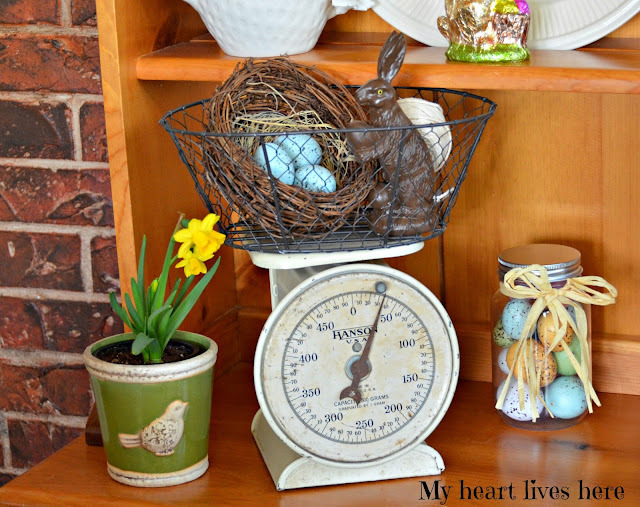 I love those molds and your vintage scale with its sweet decor. Thanks for your inspiration. Thanks for stopping by, Kitty! I love your Spring hutch, it is delightful and welcomes Spring with such whimsy and warmth. Bunnies are one of my favorites too and I just bet that you and I see plenty of wild ones hopping about! Hi Eilis! 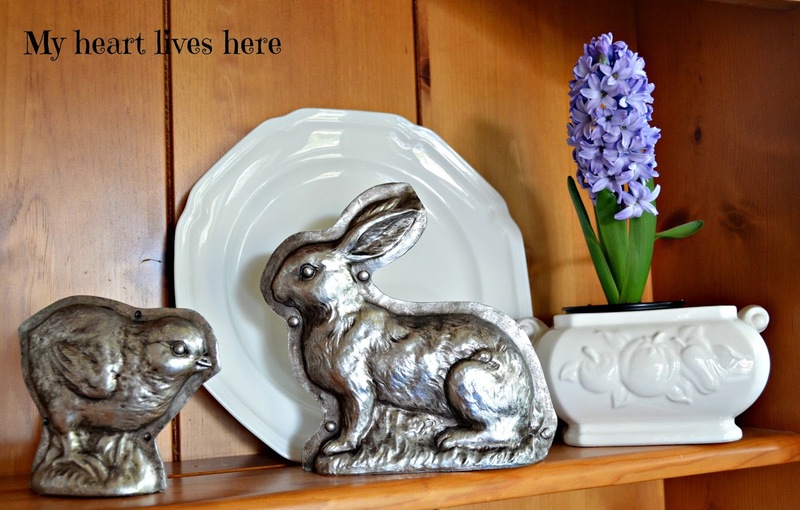 You have a precious collection of rabbits and spring/Easter decor! I love seeing what everyone collects and displays at this beautiful time of year! Thanks so much for sharing your lovely home! So cute!! I love the bunnies too, and I'm afraid that you have inspired me to trek through the mud to the storage building, so I can get my box of bunnies. I'm not much for the cutesy ones..... the ones that are seemingly real are my favorites. I also love your chocolate molds! Thank you, Jaybird! Your bunnies will be so happy to come out for the season. Eilis I think I could live in your sunroom! 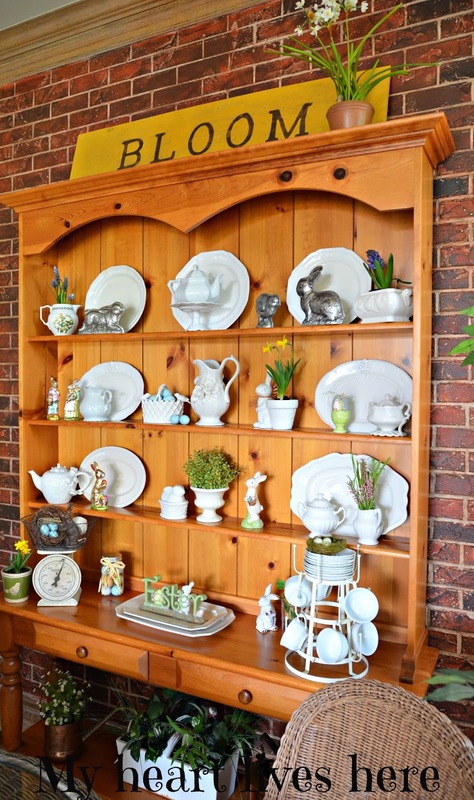 Your beautiful hutch looks so beautiful in her spring finery! You're ready for Easter Friend! O.K. let's take turns living in each other's houses like one of those movies! 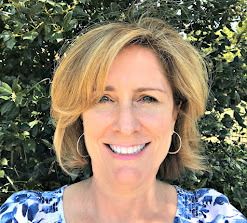 Thank YOU for putting together this blog hop. It's been fun. Your hutch decorated with all your bunnies and eggs is so pretty. I spotted some new blue speckled eggs in your white basketweave container. I love that little white container with its birds and handle. Your reproduction chocolate bunny molds are so cute! I need to look for some. Bunnies somehow have become an unintentional collection at my house. You are so right. I got the idea for where to put my new Botanic Bleu eggs after I saw your post (using them with white pieces). Beautiful and fun bunnies! 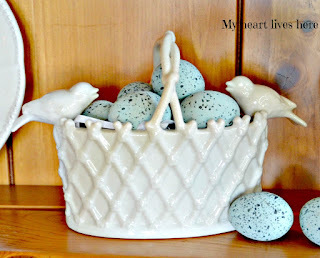 You have such a "spring" and Easter look in your home...just lovely. This is beautiful! Thanks for sharing at Home Sweet Home! Hi, Eilis! 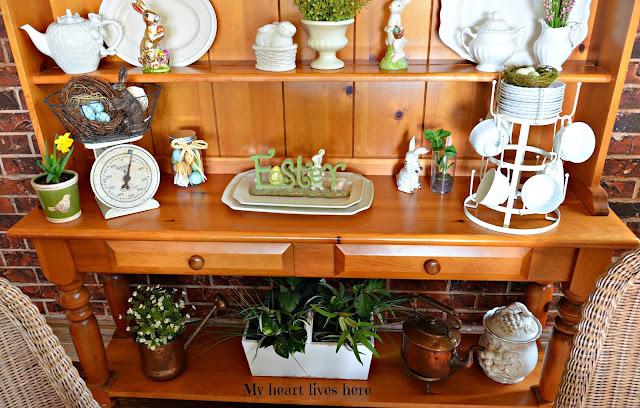 Sorry I've been away...I love how you decorated your hutch for Easter, and the rabbit molds are truly a unique and beautiful touch to the theme!